A nice surprise Friday morning when having my coffee and going through my messages: a Premium Gift from LL! 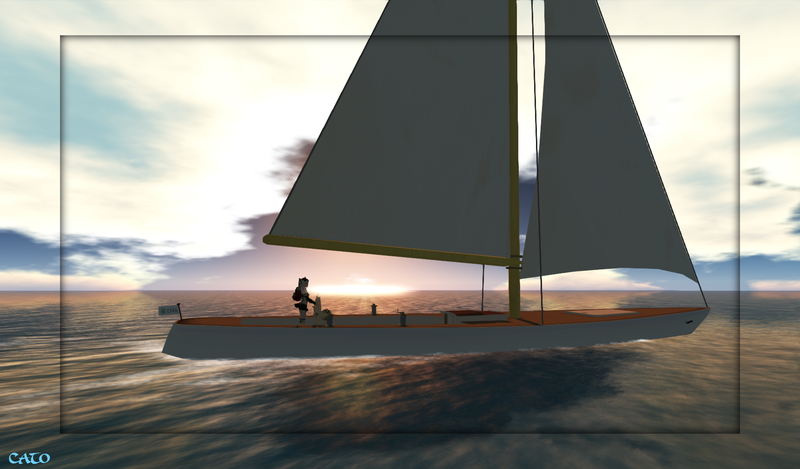 So I hurried to one of the premium sandboxes to collect my gift: a mesh sailboat! Great, as I did not have a sailboat yet and could not wait to try it out. It came with some landmarks to Oceans and rezzpoints, very convenient! 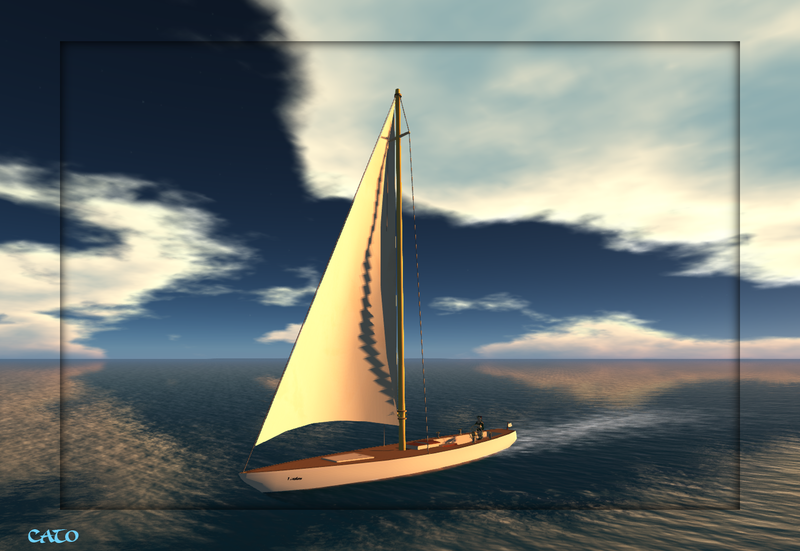 The boat is operated via a HUD, which took me a while to figure out and you can choose some colours for the deck and sails. When there is not enough wind, or a simborder is ahead, you can switch over to the motor instead of sailing on wind power. 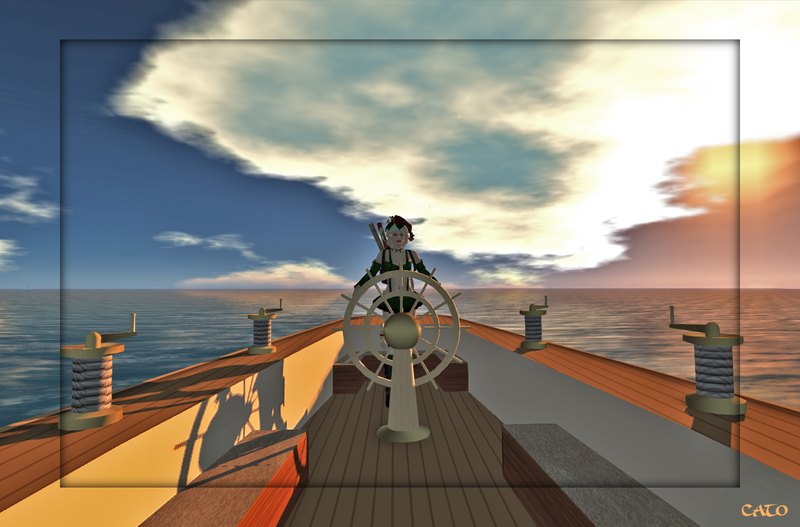 I had a good time and sailed across several oceans, once I got my chatty HUD under control that is…. Previous Post What The …..Christmas Elf!